We are back with our PT interviews, the place where we make it personal with our top trainers. 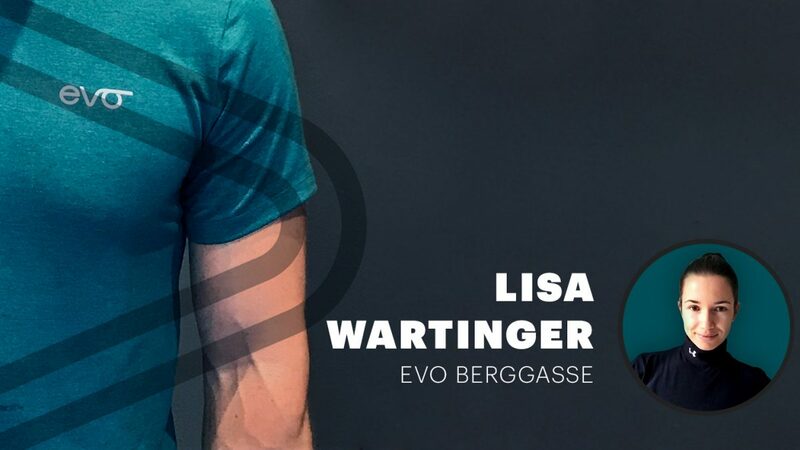 Without further ado, here is Lisa Wartinger, Personal Trainer at EVO Vienna Berggasse. Q: Hey, Lisa. For those that don’t know you, tell a bit about yourself. Well, that one is easy. My name is Lisa, and I am a personal trainer at EVO Vienna Berggasse. Hi, everybody! Q: Why did you decide to work at EVO? EVO offers the perfect environment to live by my motto. I can identify completely with EVO’s philosophy, and I appreciate the family atmosphere and the professional equipment. EVO facilitates both my work and my training. Furthermore, we have a mutual support atmosphere among us trainers, and that is great. EVO is unique in many ways, for my clients and me. Q: You mentioned your motto; can you tell us a bit more about it? We should focus a bit more on the inside, you know? A workout can provide you with so much more than a beautifully shaped body. If we always push our limits during the workout and leave our comfort zone, we get to know our body and what it can do. Thus, we build up inner strength; we increase our self-confidence. And that, I think, is what makes the real difference in our lives. Workout for me is the primary tool to build self-esteem and inner strength and to achieve more quality of life and health. Q: What distinguishes you as a PT? What have you specialized in? As we were discussing, I think we have to challenge our body to the right extent, but at the same time, we have to take into account our individuality and complexity. Training is like nutrition; there is no “one size fits all approach”. That, I would say, is what I’m specialised in. I find the ideal, goal-oriented training method for everyone and I put great emphasis on technique, variety and learning new movement patterns. I make use of the many different possibilities that EVO offers. For example, balancing on the slackline as a warm-up and making use of the yoga wall instead of ordinary stretching. After all, training should also be fun and meet the individual needs of everyone. In other words, my area of expertise is the person and his or her uniqueness. I also work very intensively on improving postures. Due to the modern lifestyle, there is a need for improvement for almost everyone. It’s incredible what a huge psychological impact an upright, proud posture can have on us. Q: You mentioned Yoga; so let’s start there before moving to the Yoga Wall. For you, what is Yoga and what are its benefits? Well, Yoga, as you probably know, originally comes from India and means the fusion between body and mind. The physical exercises for Yoga mostly include an interchange of tension and relaxation. Yoga’s advantages are easy to point out. 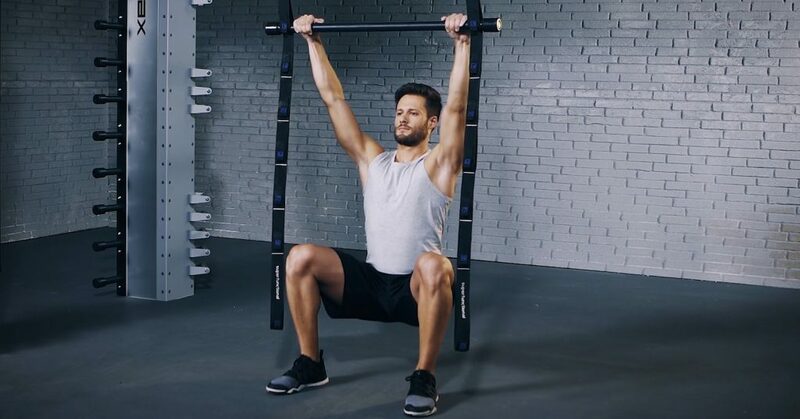 It strengthens not only the supporting muscles, but also has a positive effect on mobility, and general well being. It has a relaxing, mobilising, strengthening, balancing, refreshing and holistic effect that also stimulates the blood circulation thus promotes concentration. Q: Do you think that is why Yoga is so popular? Yes, but those are some of the reasons. If you ask me, I feel that our lives are getting more hectic, you know? Some may look at Yoga as a “trend”, but that is not it for me. It’s a way to find inner peace in our everyday life, to run away from that hectic feeling. It allows us to take a break. The focus on breathing and mindful movements lets us enjoy the here and now, to feel the present, let’s say. In other words, I think Yoga is the most effective and popular tool for stress reduction. Q: Can everyone do Yoga? Because it sounds wonderful! Sure. Yoga has a holistic effect, is versatile and adaptable. Therefore, anyone can practice it. Q: Let’s go back a bit. You mentioned before the Yoga Wall. Can you guide us on what that is and what is the difference between the Yoga Wall and the regular Yoga, the Yoga on the mat, let’s say? Well, the Yoga Wall offers the opportunity to experiment with new positions, new perspectives. Also, the rope allows you to reach your limits, set new challenge and work on positions you haven’t even dream you could do. The difference to Yoga on the mat is the increased training effect. By using the ropes or the belt, you stretch body parts and muscle groups that you wouldn’t be able to on the mat. By using the assistance of the Yoga Wall, an exercise can be done longer, and make you feel safe and stable at the same time. You can fully concentrate on your own body, breathing and switching off – a great way to unlock your real potential. 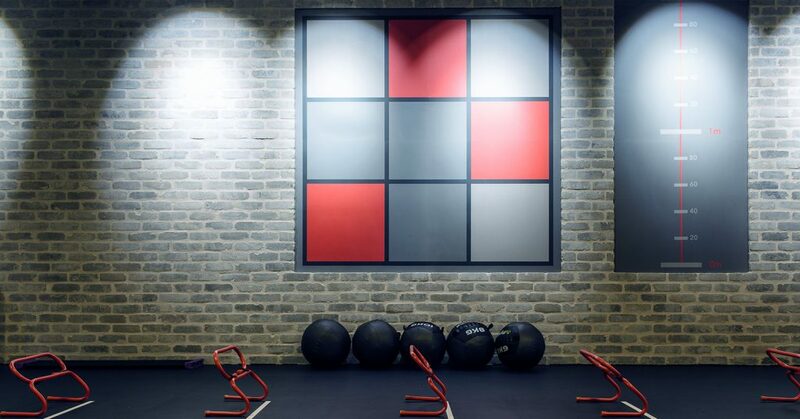 Q: And how does the Yoga Wall fit in the EVO concept? The Yoga Wall is also about rediscovering abilities in a playful way – skills that we took for granted as a child. EVO focuses on the natural human movement, so it’s a match made in heaven. There are also health benefits: the Yoga Wall stimulates the blood circulation of the upper body. Those who frequently switch to a head-over-heels perspective will also brighten their mood, as more blood gets into the brain; this has an encouraging but also calming effect. Q: Last but not least: how do you stay motivated? Can you give our athletes some tips? I always recommend positively formulating your motivation. Instead of “battle” with some parts of our body, it is much more productive a positive approach. I do see training as a kind of appreciation for my body. Once we become aware of what our body does for us every day, it becomes natural that we want to give something back and take care of maintaining our health. The motivation to exercise and to follow a healthy diet should feel good – that is the only way you will stick with it. Q: Thank you, Lisa. It’s been wonderful. Thank you, guys. Hope to see you soon at EVO! 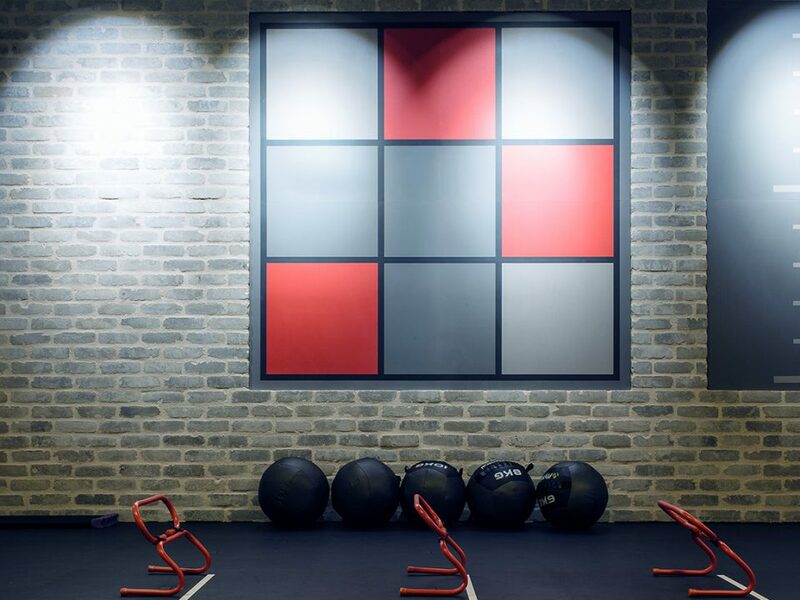 Book a session with our expert Personal Trainers here. Use it for the cool-down instead of classic stretching. These 6 exercises on the Yoga wall are great for people who sit a lot! 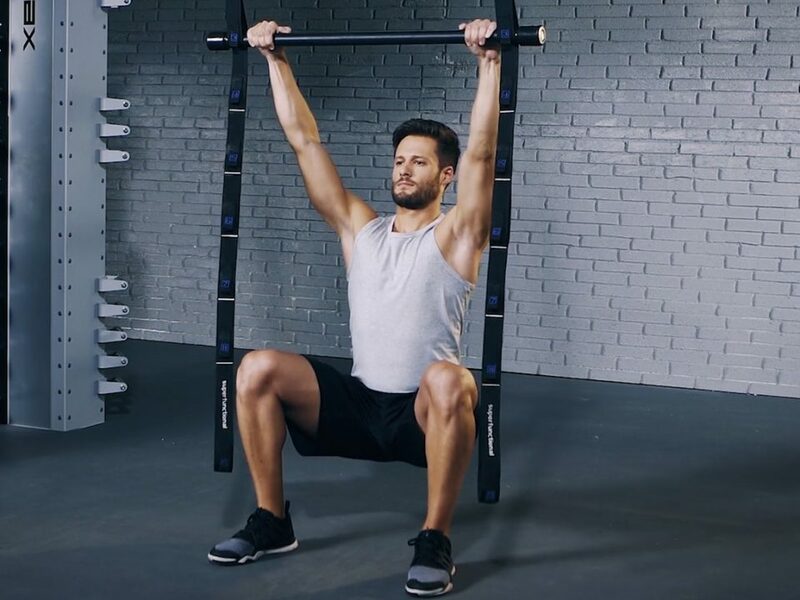 Stand with feet hip-width apart, hold the belt with hands, push hips far back, keep your back straight and long, stretch legs as far as possible. Stimulates blood circulation in the lungs and brain. Makes you happy. Keep legs stretched throughout the exercise, move forward: Full body tension, open chest and take a deep breath. You’ll need a lot of power! Legs remain stretched, abdominal muscles are tightened.